Mike Plant is in his 14th season with the Atlanta Braves, and his second season as President of Development. Plant joined the organization as Executive Vice President of Business Operations in November of 2003. As part of the Braves executive leadership team, Plant was instrumental in the Braves’ efforts to secure and plan SunTrust Park and the adjacent mixed-use development, The Battery Atlanta, which will open in Cobb County in April 2017. Plant joined the Braves after having served as Executive Vice President of Turner Sports since February 2002. In that position, he was in charge of the day-to-day operations of the division, a $500-million acquisition, promotion and production company that at the time broadcast approximately 1,200 hours of sports programming on various Turner networks. Before becoming Executive Vice President of Turner Sports, Plant was President of Ted Turner’s multisport event, The Goodwill Games, and Vice President of Events for Turner Sports. He was responsible for the overall direction and management of The Goodwill Games, as well as all sports properties acquired by Turner Sports. Prior to joining Turner Sports, Plant was President of Medalist Sports, a full-service sports marketing company he founded in 1988. Medalist Sports created and operated premier professional cycling events in the United States and China. In addition, Plant was the Associate Executive Director of the United States Cycling Federation in Colorado Springs, Colo., from 1986 to 1988 and the Executive Director of the Canoe and Kayak Team from 1985 to 1986. Plant was a member of the 1980 U.S. Olympic speed skating team in Lake Placid, NY, and a six-time member of the U.S. World Championship speed skating teams. Since 1980, he has been appointed to numerous committees and boards for the U.S. Olympic Committee (USOC), the U.S. International Speed skating Association, International Cycling Federation, and USA Cycling. Plant served on the Atlanta Committee for the 1996 Olympic Games (ACOG) Board of Directors and the Board of Trustees for the Salt Lake City Olympic Bid Committee for the 2002 Winter Games. Plant served two eight-year terms on the USOC’s Board of Directors and Executive Committee (1984- 1992 and 2003-2011). He was Chairman of the USOC Athletes Council, and Chairman of the Athlete Performance Group (1992-1996). Plant was President of USA Cycling, the National Governing Body for Olympic cycling, from 1995 to 2002, and is the current President of U.S. Speed skating. Internationally, Plant is currently serving his second term on the International Cycling Federation’s (UCI) Executive Committee, and is President of three different commissions. 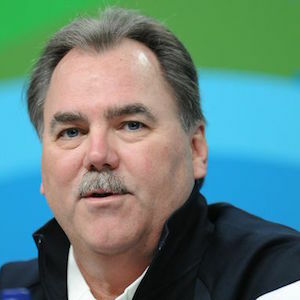 In 2009, Plant was elected U.S. Olympic Chef de Mission for the Olympic team for the 2010 Vancouver Olympic Games. You must be the CEO/Founder to attend.